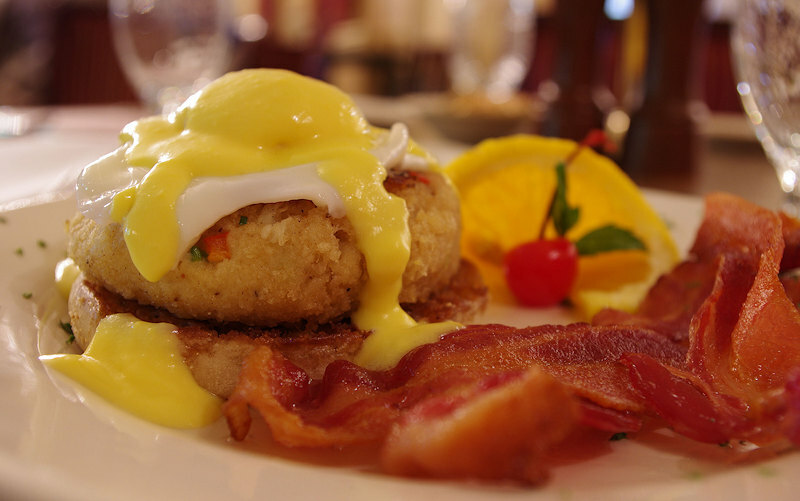 Sunday Brunch is served 11 a.m.-1:30 p.m.
Reservations in the Main Dining Room are strongly advised prior to arrival. Call 1-800-352-3992 or 859-734-3381. Also see our Lunch Menu and Dinner Menu. Proud Recipient of the James Beard Foundation’s America’s Classic Award. Please note January through March our Sunday Brunch is 11 a.m. -1:00 p.m.
Our Good Ol’ Bloody Mary: You pick from any of our Vodkas. Crisp celery, Lime, Olives, slightly spicy Bloody Mary Mix! The Classic Mimosa: It’s not just for special occasions! Poema Sparkling Brut & Orange Juice. How bout an Ice Cold Martini! Why Not? Vodka or Gin. Olives or with a Twist. Golfer’s Delight: Sweet Tea, Pink Lemonade, and a subtle shot of Vodka. Ask to see our wine list!